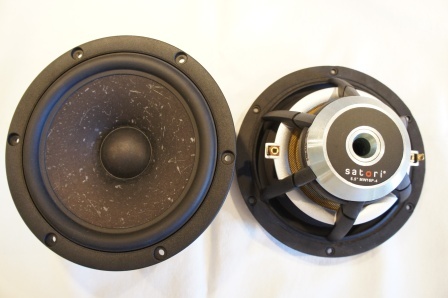 New Satori MW16P-4 driver units! 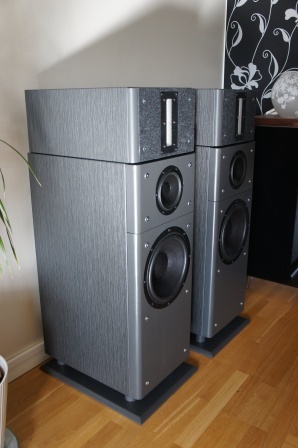 It’s the new mid-woofer from SB Acoustics more exclusive series “Satori”. Satori in Japanese is a Zen Buddhist term for enlightenment. The word literally means “awakening”, “comprehension” and understanding”. The Satori drivers are designed for subtlety and realism. 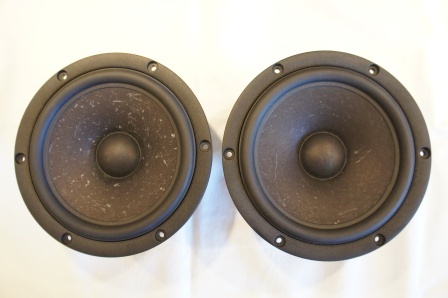 My driver samples are the MW16P-4, which is the 4ohm version of the mid-woofer. The MW16P-8, 8ohm specification can be found here: MW16P-8. The driver has a very nice looks and build quality. The small but yet powerful neodymium magnet together with the shape of the chassis contributes to an optimal airflow behavior. 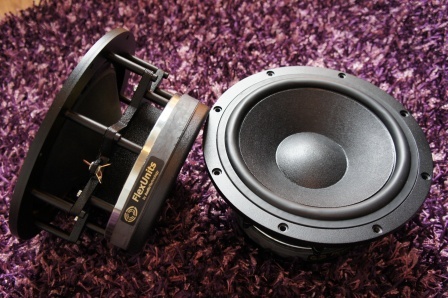 With >90dB @ 2.83v/1m, the 4ohm version is a fairly efficient mid-woofer. It’s most likely to achieve a system sensitivity of about 86-87dB @ 2.83v/1m, when the right amount of “baffle Step Compensation” is applied. Nice consistency between the two driver unit samples. About 25% higher Mms compared to the official spec sheet for the 8ohm version. 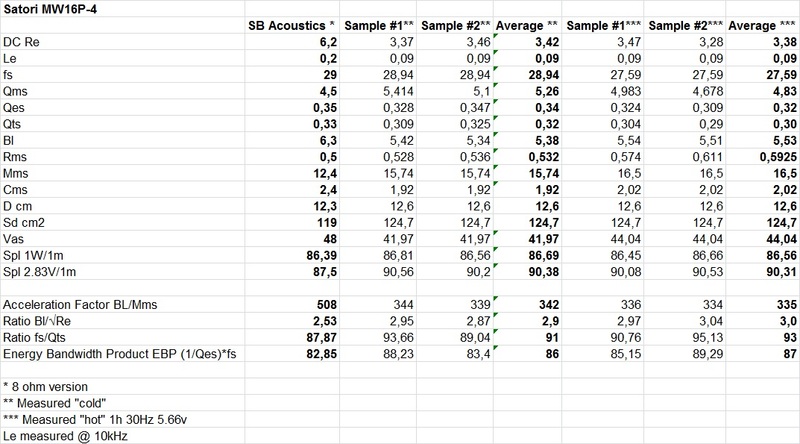 Left: Free-air impedance sample 1 vs. sample 2. Right: Close-up of free-air impedance sample 1 vs. sample 2. A very sharp and narrow impedance peak at the resonance frequency of the driver unit, which indicates a mid-woofer with low mechanical losses. The edge resonance occurs somewhere between 1-1.2kHz and will most likely give a hole in the frequency response and some elevated 2nd order harmonics at the same frequencies. 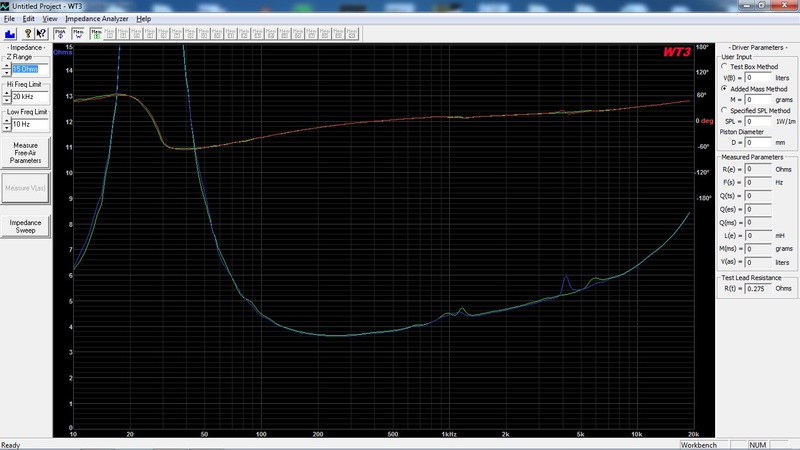 From the impedance measurements, cone break-ups are visible at about 4kHz and 6kHz. How severe these break-ups are to be determined in the frequency and distortion measurements. 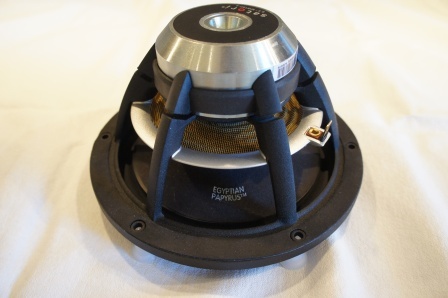 This mid-woofer should be able to be used up to about 3kHz, but some frequency and distortion measurements analysis remains to be certain. 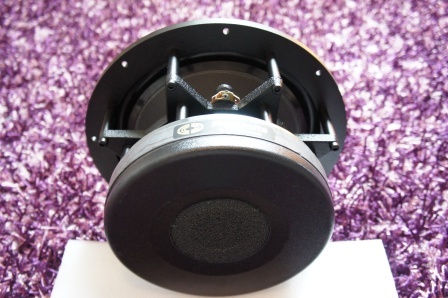 This is a versatile mid-woofer that would work in an enclosure anything between 18-22 liters. A text book QB3 alignment gives an 18 liter enclosure, but even a 14 liter would work with some elevated mid-bass response. 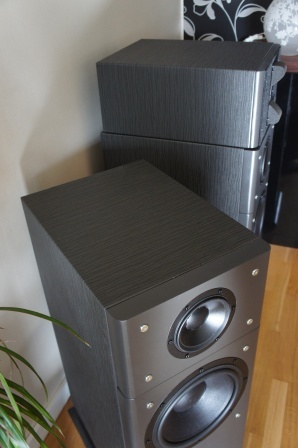 With its +/- 6mm linear x-max, this mid-woofer has the potential to produce some serious bass considering its size. 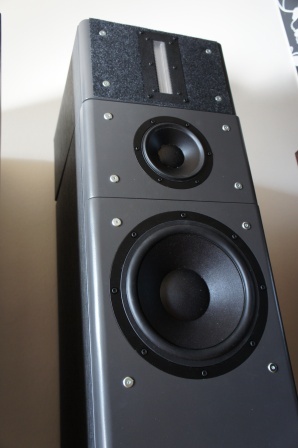 Read full article |Comments Off on New Satori MW16P-4 driver units! Sequence Three – Grand Reference Construction Update4! A small picture update of the current build status! In “real life” the loudspeaker looks darker than shown in the pictures. Minor “finishing” adjustments remains as well as building some front covers for the loudspeaker. Read full article |Comments Off on Sequence Three – Grand Reference Construction Update4! 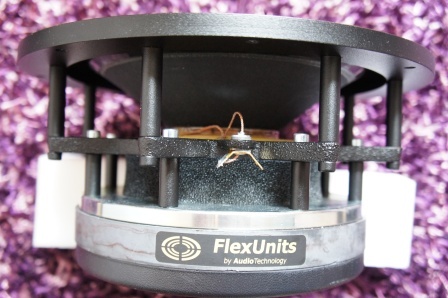 AudioTechnology FlexUnits 10C 77 25 10 KAP Measurements! 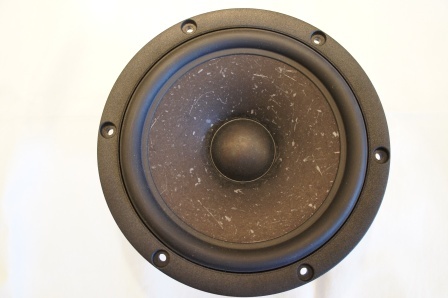 The last driver measurement to publish for the Sequence Three – Grand Reference loudspeaker design is the AudioTechnology 10C772510KAP 10” woofer. 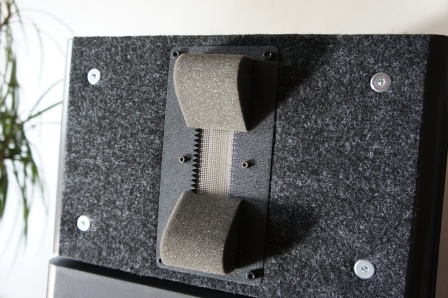 This woofer uses a very stiff rigid thick (2mm) sandwich cone. 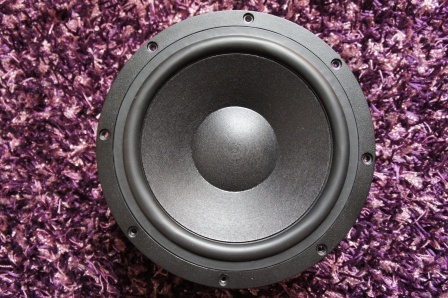 For its size it has an extended flat frequency response, with a cone break-up at approximately 1.9kHz. 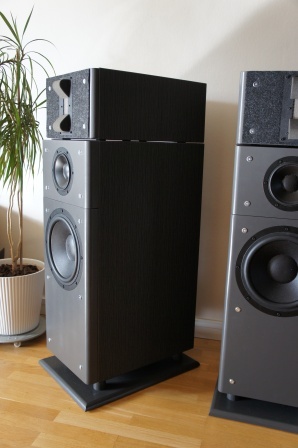 Besides Troel Gravesens measurements, I haven’t seen any independent measurements made for this woofer. One thing that differs my measurements from Troels is that his cone break-up occurs higher up in frequency (2.5kHz), compared to my measurements. In my case this is not an issue since I intend to cross-over the woofer to the mid-range somewhere between 3-400Hz. Even though the frequency response is very flat I doubt anyone would use this woofer any higher than 5-600Hz. The woofer weighs about 8.5kg and is very robustly built. It has a large ventilation hole through the centre pole piece allowing for a compression free ventilation of the voice-coil. The ventilation hole is covered by foam. 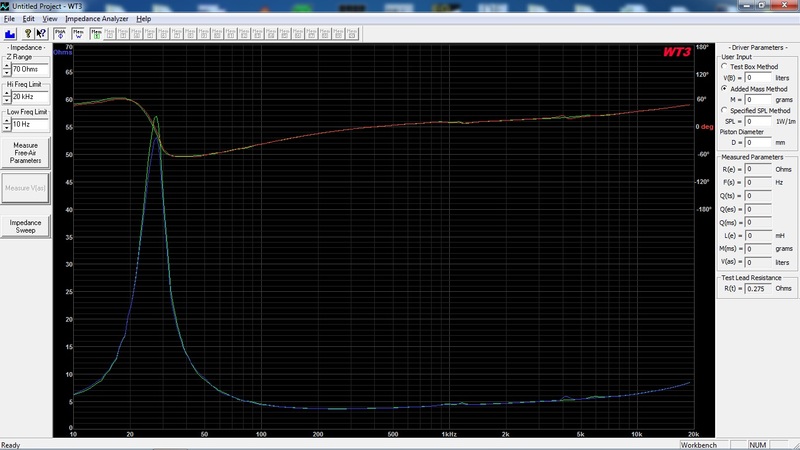 Read full article |Comments Off on AudioTechnology 10C772510KAP Measurements!